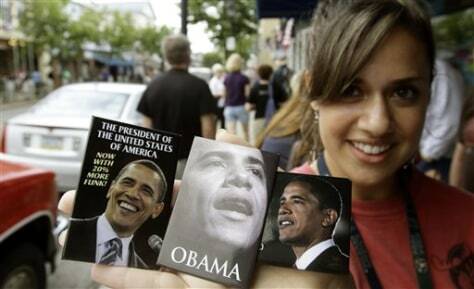 Ellyn Getz, who works in a local store in Bar Harbor, Maine, poses with President Obama magnets that are for sale in the store. The president is scheduled to visit Mt. Desert Island this coming weekend.